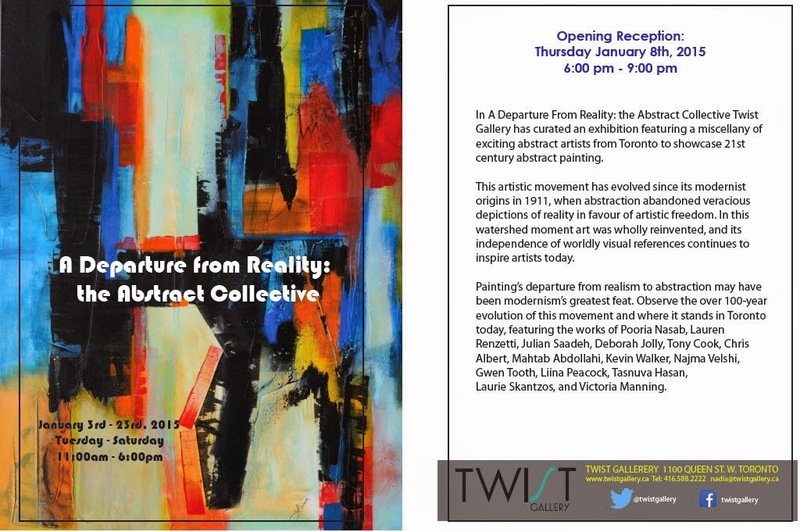 I have the pleasure to be invited into this group show at the Twist Art Gallery. This is the second time I have shown at this venue - the previous event being the last "Square Foot" show to be held in the area. This current event is quite different. 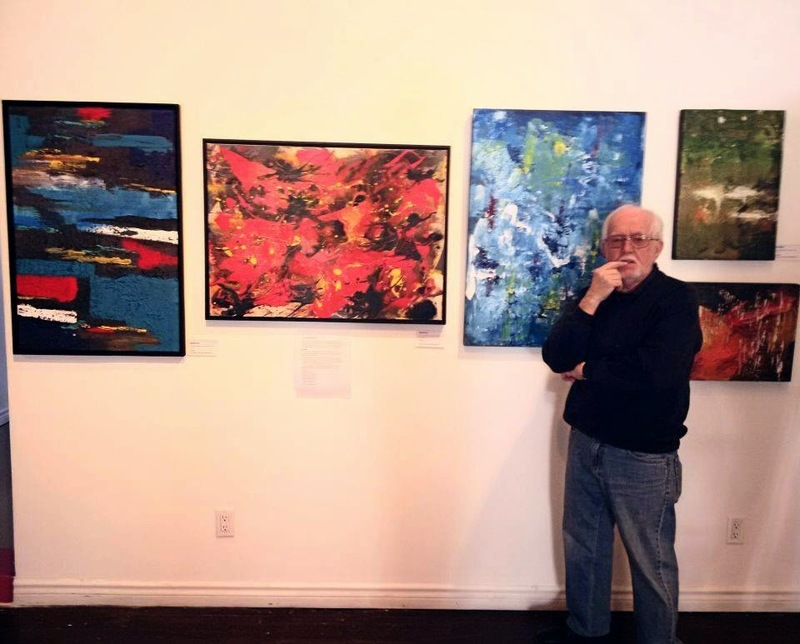 It is restricted to abstract art in whatever medium, there are 14 artists at various stages of their careers, working in very different ways. Each artists has 11 feet of wall space in this large gallery, in which to display their work. I have just 5 paintings included; 3 large pieces (24 x 36 inches) on various supports, and two smaller works. The image does not do justice to the paintings due to poor lighting during the set-up day, but it gives some idea at least.